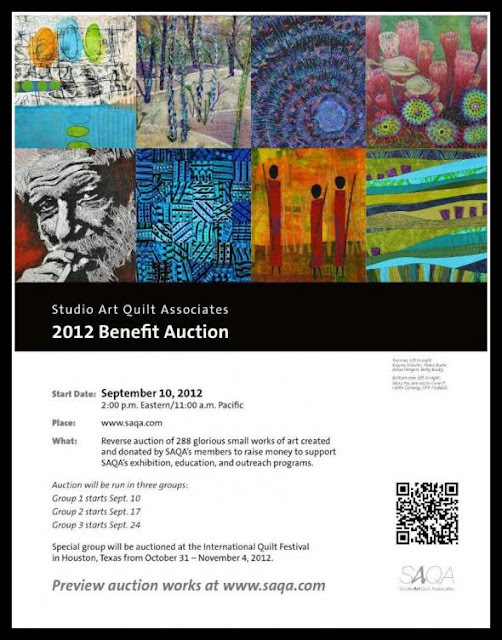 Explorations in Quilting and Life: SAQA Auction is on! If you haven't yet, please do check out the SAQA Auction. Now in it's third day, there are still many quilts available. Each is unique and beautifully handcrafted. To view the auction, just go to the SAQA Auction page.